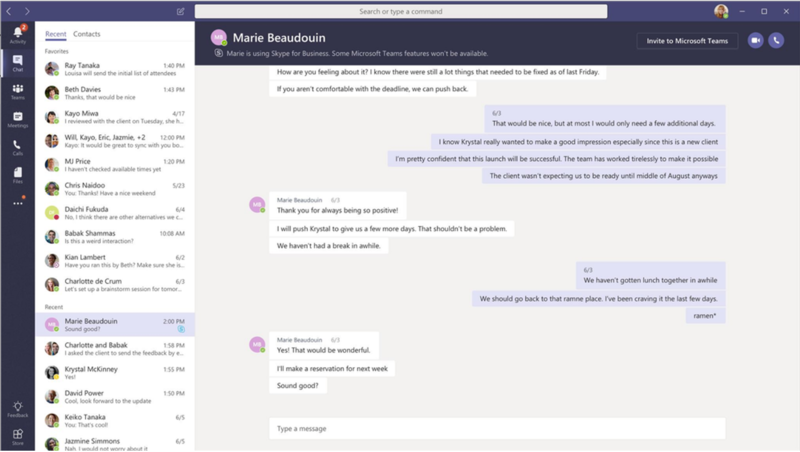 It seems even from when we (Withum Digital and us) first started this series a few weeks ago, there have been more great announcements for Microsoft Teams. 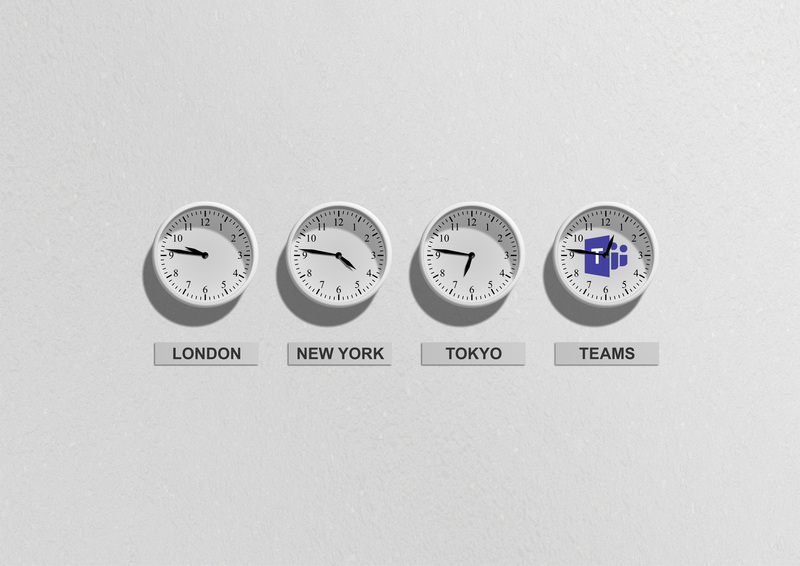 To wrap up this final part in the series I wanted to share with you some of the little-known features in Microsoft Teams that can have big impact. Also I’ll be sharing some of the newest functionality in Microsoft Teams to highlight the pace at which Microsoft is moving with it. The most compelling news in my opinion came from the SharePoint and Microsoft Teams integration. This further focuses the lens of SharePoint as a content service and Microsoft Teams as a single pane of glass as discussed in Part 1 of this series. A big shout out to Microsoft Teams On Air videocast with Delanda Coleman and Mark Kashman that covers the features in detail. From the initial preview, there has been a Files tab that essentially is a Document Library from the SharePoint site provisioned with the Office 365 Group associated with the Microsoft Team. This created folders for each Channel for file sharing also. The big thing to understand here, is whatever new features SharePoint gets, they will be available in Microsof Teams. In the Teams on Air video, Mark demonstrates viewing CAD files directly in Microsoft Teams without having to download it and open it in a CAD program. Although with files, SharePoint was kind of “hidden”, now SharePoint starts to really show its content services value across the Microsoft Teams experience. With support now to have SharePoint Modern pages snapped directly as tabs in a Team, it brings web page publishing directly into the Teams interface. a people experience that lists the contacts for Q1. To touch on the people web part in that page, it pulls the profile photos, their job title, and department from the underlying Azure Active Directory profile. Many organizations struggle to keep this information complete and accurate. If this sounds like your organization, Hyperfish can help you out. Bots are a big focus of Microsoft Teams. In a previous blog I’ve talked about the Who Bot. 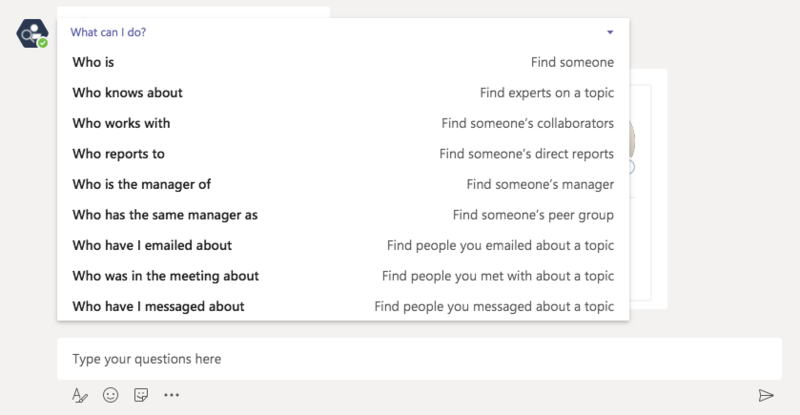 Since its preview launch in January, I’ve spoken to many organizations that have used this as an adoption “goodie” to get people to use Microsoft Teams to discover people. There are some intelligent search capabilities in there that are extremely useful like “who was in the meeting about…”. If you haven’t started using the Who Bot, it’s a great replacement for the Outlook address book and Delve. Plus, as it’s a conversation with the bot, you get the history right there of the searches you’ve done. Microsoft would ideally want you to transition to Microsoft Teams from Skype for Business as soon as possible. 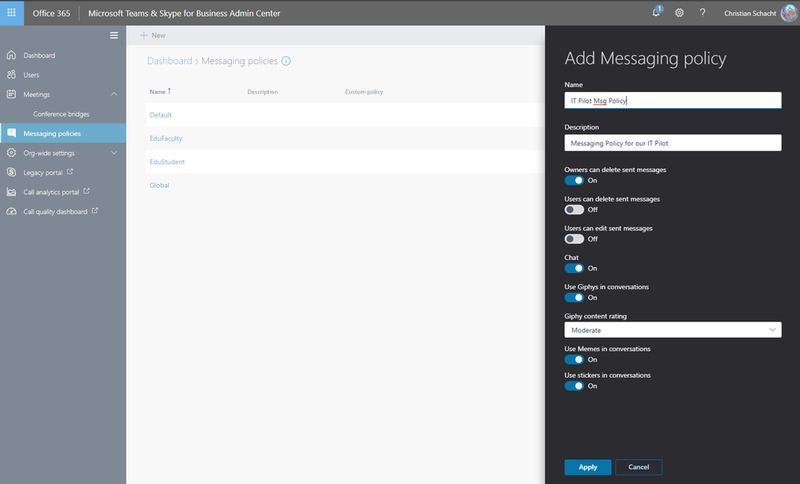 A big use case for Skype for Business was persistent chat with individuals and groups. The April update announced this is now available in Teams which closes another large gap. 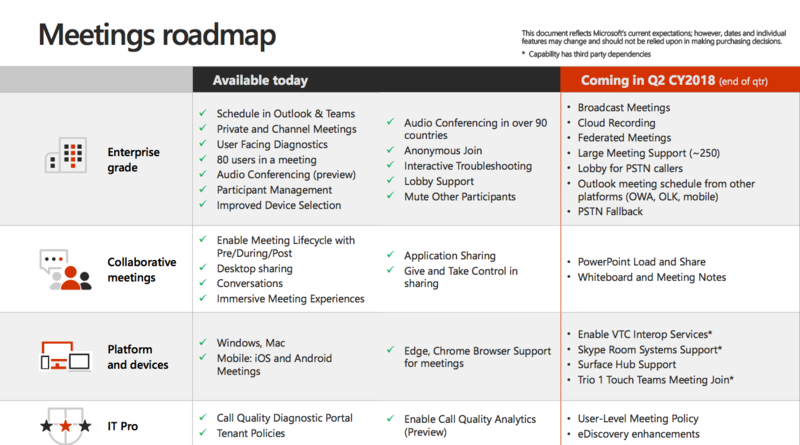 Microsoft are obviously focusing very hard on being in front of the concerns of organizations currently using Skype for Business and knowing they have to move to Microsoft Teams at some point in the future. They are being extremely open with the roadmap plans to close the gaps between the current Skype for Business functionality and the future with Microsoft Teams. There is a presentation that is frequently updated here that explains this . The end of Q2 CY2018 is going to be a big milestone toward meetings. Personally, when I have permission, I record all external calls with customers. Cloud recording, with transcript support of what was said will be a huge win for me as a product manager where I need to go back and find conversations where particular features were requested! The Microsoft Teams Admin Center was also announced in April. This brings more control at an organizational level for Microsoft Teams. These features highlight the level of governance available, for instance whether messages can be deleted as part of the message policy. Thanks for coming along on the journey as we’ve have shared with you our tips and customer success stories of organizations already seeing real value from Microsoft Teams. Stay tuned to the Withum Digital and Hyperfish blogs as we’ll continue to share with you our experiences and advices for you to get the most out of Teams. We recommend you start with the Microsoft Teams blog on the Microsoft Technical Communities site. 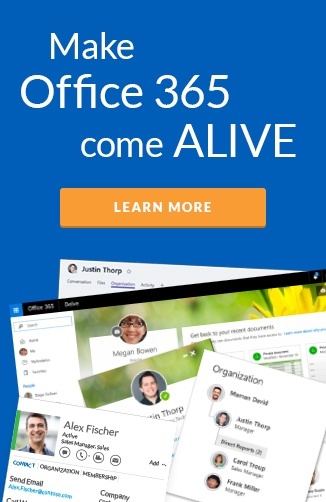 Alongside the broader press release Microsoft 365 blog. Find out about our Teams bot? At the SharePoint Conference North America last week, we launched our new employee self-service (ESS) bot in Microsoft Teams. The employee self-service bot provides a revolutionary new way for employees to find people, services, and information within their organization.